This fresh rose hip jelly recipe is easy to make and just as delicious. A rose hip is the seed pod of roses left after they have finished blooming. So where do you get fresh rose hips? You probably won't find them in a grocery store, not even a gourmet store. 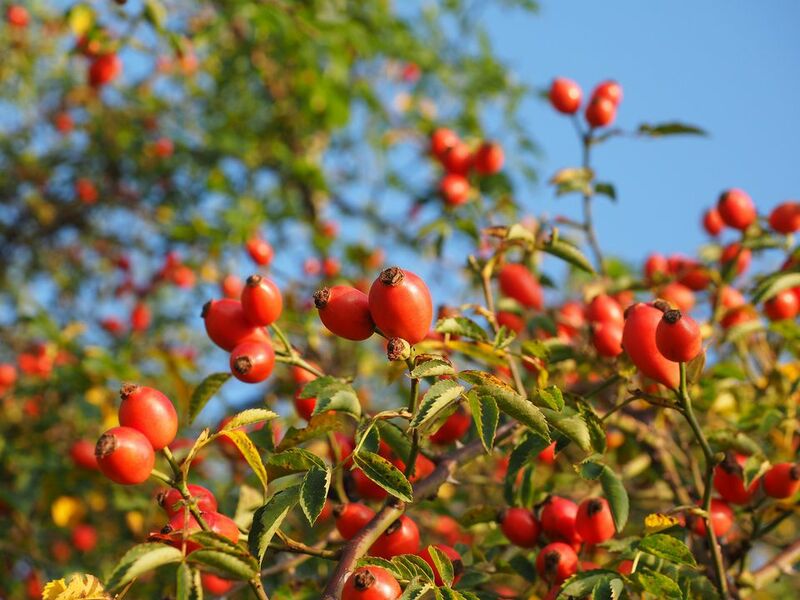 You'll have to rely on your own roses or those of a friend or neighbor as long as they have never been treated with a pesticide that is not labeled for use on edibles (see more about harvesting rose hips below). As far as pectin goes, that's much more easy to find. Look for it wherever canning supplies are sold, usually available in most major grocery stores. In a large stainless-steel saucepan (don't use aluminum because it will discolor the jelly), simmer rose hips in 2 quarts water until soft. Crush to mash in the pan and strain through a jelly bag. You should have about 4 cups of rose hip juice. Return rose hip juice to the pan and add lemon juice and pectin crystals. Stir until mixture comes to a hard boil. Immediately add sugar, then bring to a full rolling boil and boil for 1 minute, stirring constantly. Remove jelly from heat and skim off foam with a stainless-steel spoon. Pour jelly into hot sterilized jars and process in a water bath, freeze for longer storage, or store in the refrigerator for up to two weeks. Note: If you can't find fresh rose hips, soak a cup of dried rose hips in 2 quarts of water for a few minutes, then cook till soft and continue with step 2 of the recipe above. The best time to harvest rose hips is after the first frost. They should still be firm and have good color. Don't pick the shriveled or dried ones. Trim off the stem and blossom ends. Slice each hip in half and remove the inner seeds. Rinse off the deseeded hips and use in your favorite recipe.